This is the nicest beach along the coast! This is truly unique! Take the steps down into the beachfront "pit"
SPECIAL: 20% off stays from now through Nov. 16, 2018. Special applies to new reservations and is subject to change. Holiday and high season reservations require a 7 night minimum. Mid and low season require minimum of 5 nights unless otherwise agreed. 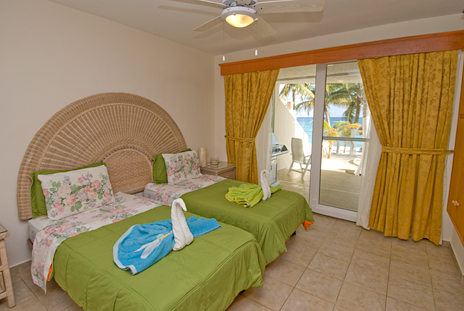 If you're looking for a beach vacation, Villa Serenity is an ideal choice! This is THE nicest beach along the entire coast. 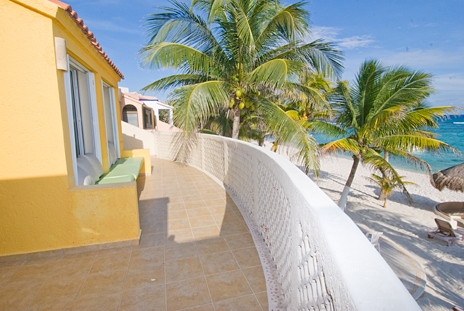 The outdoor "living" areas take full advantage of the sandy seashore and views on this bay. 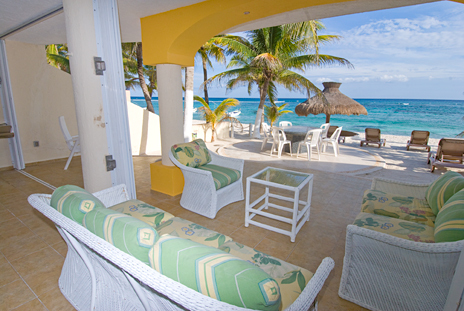 There are patio areas on the beach level and the second level. 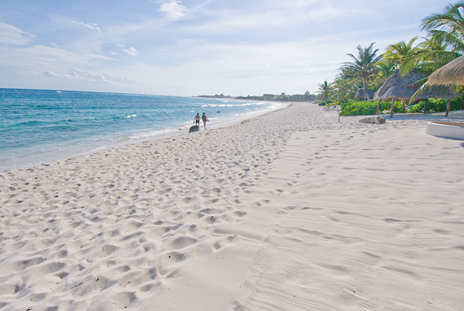 There's also a unique conversational put built into the sandy beach. 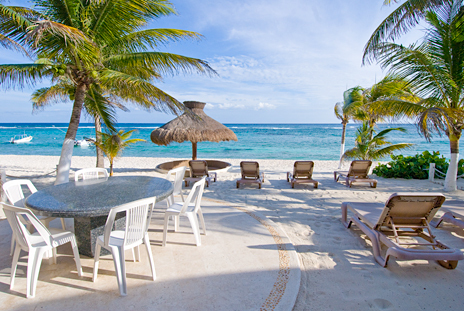 You can dine on the outdoor patio table on the beach or climb into one of the numerous lounge chairs on the sand. 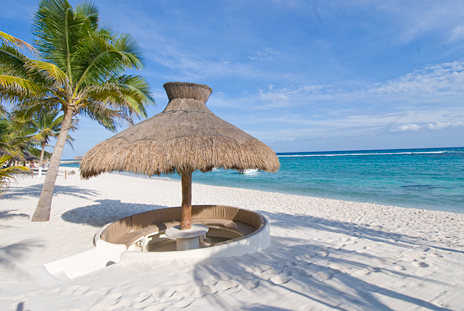 Take a stroll down the beach and sink your toes into the white sand on the shore. Snorkeling and swimming are safe in this area. 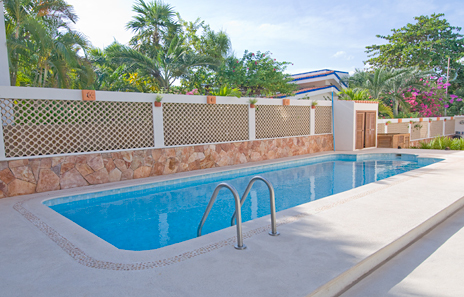 There's also a pool that is located on the lot next door to Villa Serenity; the pool is for exclusive use by guests of Villa Serenity. 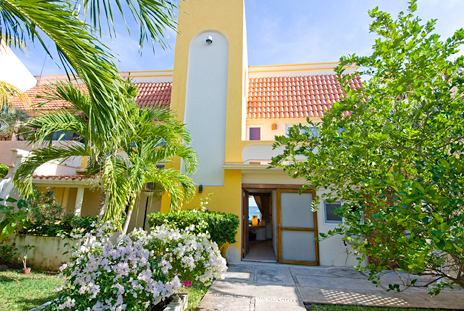 Villa Serenity is just as beautiful on the side as well! 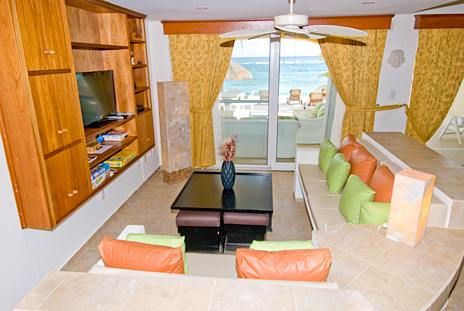 On the first level is a living area with ocean views, comfortable sofas and wide screen satellite TV and DVD and patio doors to the oceanfront. 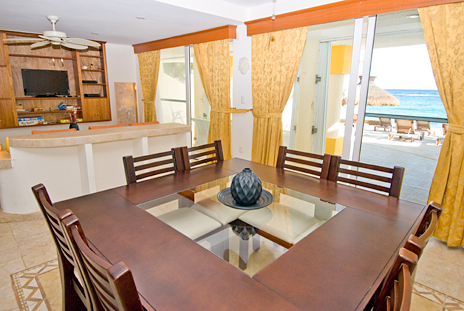 In addition, there is a dining area that faces the ocean and seats 8. 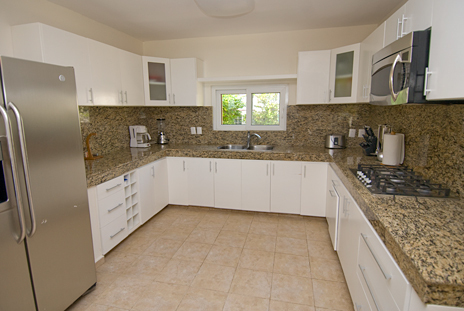 The large kitchen is fully equipped (but no oven) and has granite countertops and stainless steel appliances. Also on this level is a guest bedroom with two twin beds and sliding glass doors to the oceanfront patio; a guest bath is just off the hallway. On the second level are two more bedrooms. 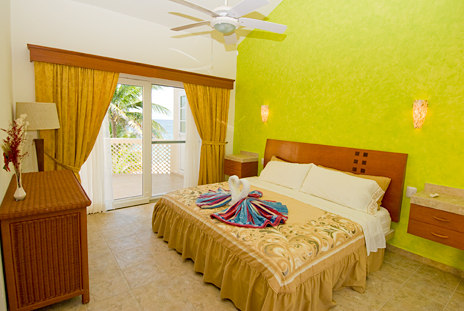 These two bedrooms are identical, each with king bed, private bath and sliding glass doors to the second level oceanfront patio. 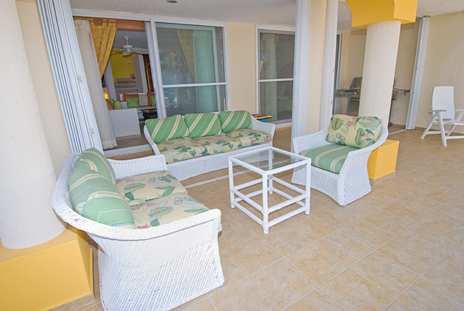 The second level patio area has cushioned seating areas where you can enjoy the breathtaking views of the sparkling Caribbean during the day and the starry sky at night. Though you'll spend most of your time at the beach, you'll love the beautifully landscaped garden on the other side of Villa Serenity. It is brimming with tropical palms and flowering shrubs. On this side is access to the swimming pool and parking area. 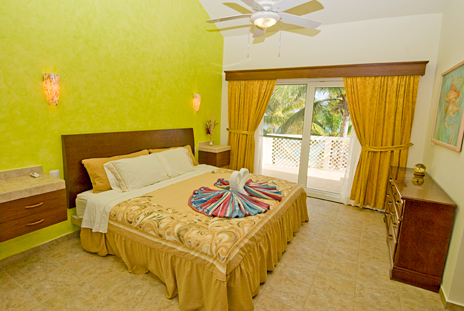 Villa Serenity is also conveniently located within a short walk from the Be Live Oasis all-inclusive resort nad the Grand Bahia Principe resort where you can purchase day passes to use the resort facilities and entertainment. Bahia Principe Resort also has a shopping complex called Hacienda Dona Isabela which has gift shops, bar, and an ATM machine. 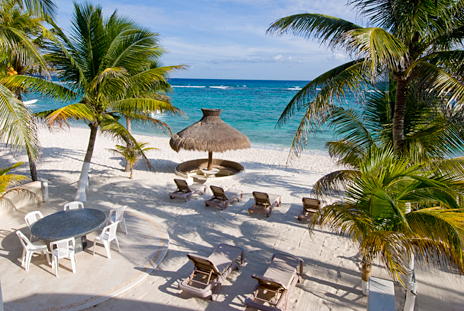 Villa Serenity is also a short walk from the new Riviera Maya Golf Course. Riviera Maya Golf Club is the newest and most exciting golf course here in the Riviera Maya. Spanning 223 acres and set within 717 acres of tropical rainforest, this course was designed by Robert Trent Jones II. 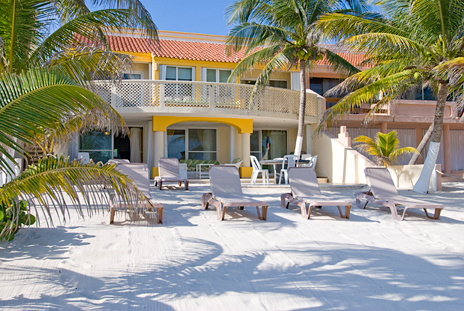 If you are looking for beachfront vacation that is easy, comfortable and relaxing then this is the perfect house for you! 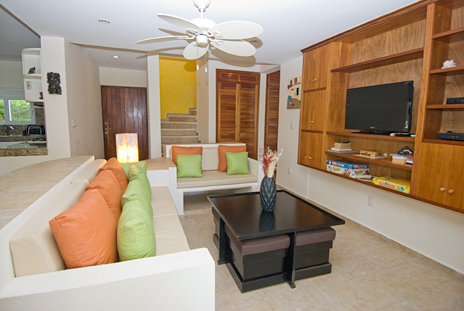 Villa Serenity is a wonderful choice for both families and friends.